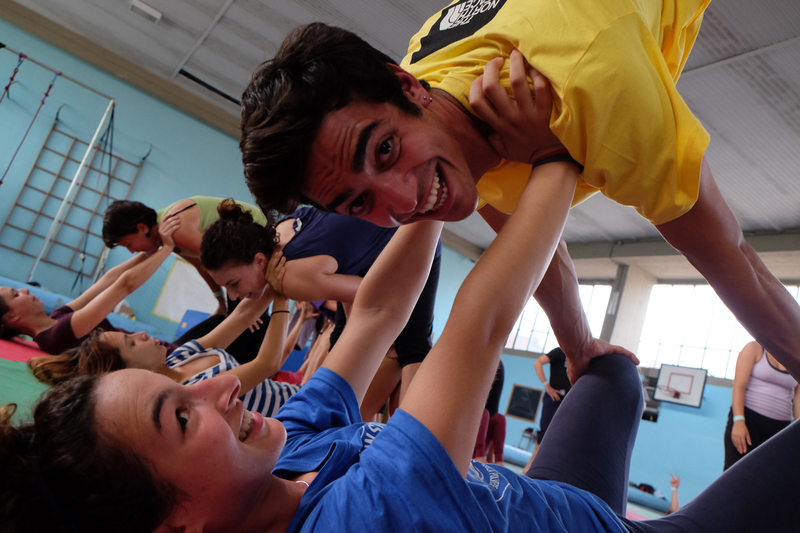 As far back as 1996, a small number of youth circus groups sat down to talk about creating a European Circus Union, starting with the idea of establishing an annual, informal networking event for European Youth Circus groups. Consequently in 2005, the first Network of International Circus Exchange Seminar – N.I.C.E – was held in Berlin. Others followed in Paris (2006), Tampere (2007), Amsterdam (2008) and London (2009). Following the N.I.C.E. Seminar in Amsterdam, a working group consisting of Karl Köckenberger (Germany), Alain Taillard (France), Peter Smets (Belgium), Piia Karkkola (Finland), Eveline Alders (Netherlands), Adolfo Rossomando (Italy), Gonzalo Arias (Spain), Petrea Owens & Ian Scott Owens (UK), decided to build an official umbrella called the European Youth Circus Organisation: EYCO. The Working Group established that N.I.C.E. Seminars provide an opportunity for everyone to join together in and open and inclusive environment, to explore and exploit the benefits of exchange. But, there was also a need for a more formal organisation to support activities on a European level. The official umbrella organisation representing all European Youth Circus umbrellas, EYCO, was constituted in London In 2009. It was built using the key words: solidarity and equality, social citizenship, diversity and creativity in addition to the following statement ‘circus is for everyone, an easy, accessible tool for creative, personal and social development’. EYCO’s work was defined as supporting national representative organisations (umbrellas), organisations that indicate that they are either working on a national representative organisation or have the position/authority to represent a country who are employing circus as a tool for personal, creative, artistic and social development.